Mini ITX cases and graphics cards like AMD's R9 Nano have led to gaming PCs becoming increasingly smaller, but Intel's upcoming machine could be the most compact yet. Intel used CES 2016 to announce that it's working on a gaming version of its barebones NUC (Next Unit of Computing) PC. Codenamed Skull Canyon, it features a Thunderbolt 3 port for hooking it up to an external dock similar to the Alienware Amplifier or Razer Core. 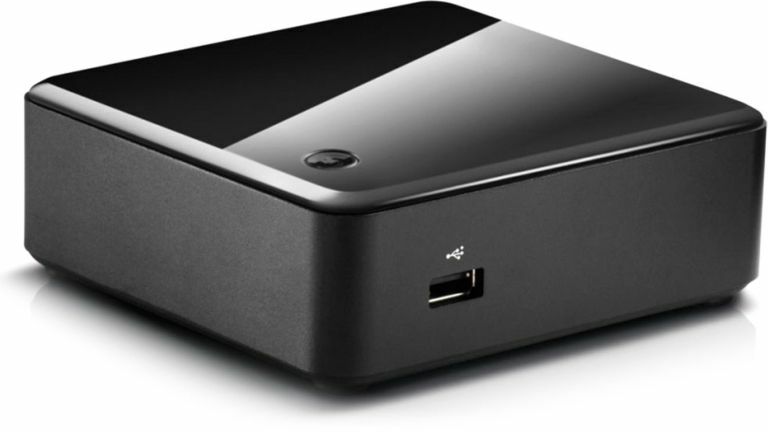 It would make the upcoming NUC the smallest PC yet capable of drawing huge graphical grunt from an external source. Well-designed, compact gaming PCs like the Asus ROG D20AJ already exist, but they lack the means to connect to an external GPU. Intel also announced that it's updating its current NUC product range with Intel's new sixth-generation Skylake processors - either a dual-core Intel Core i3 or an i5-6260U. Connectivity-wise they feature HDMI, mini DisplayPort, four USB 3.0 ports, two internal USB 3.0 ports and an infrared sensor. Pricing is yet to be confirmed, but Intel has shared that its new NUCs will go on sale in March.